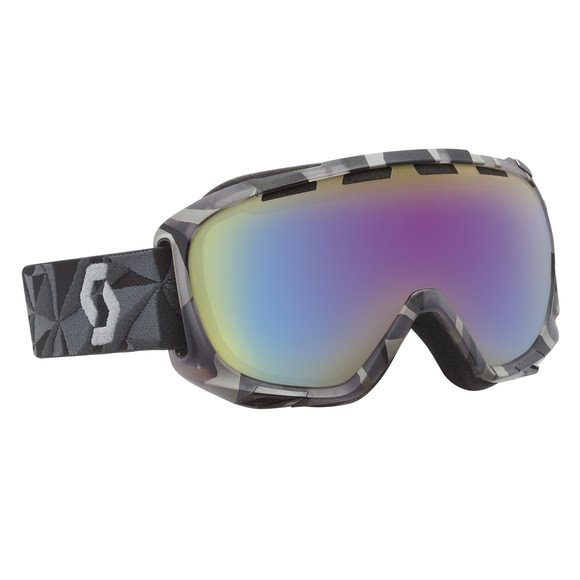 Scott's iconic and most popular goggle just keeps getting better. With an exceptional field of vision, bold patterns and colorful frames, the Fix is unmatched in performance and style. Scott&apos;s iconic and most popular goggle just keeps getting better. With an exceptional field of vision, bold patterns and colorful frames, the Fix is unmatched in performance and style. Scott lenses are optically engineered to screen out 100% of harmful UVA/UVB/UVC rays. The originator of helmet compatible goggle, Scott constantly strives to engineer goggles utilizing designs that engage flawlessly with a variety of helmets. SCOTTÕs premium face foam incorporates three layers of hypoallergenic molded foam for superlative performance and an unmatchable feeling of comfort and protection. Scott Spherical Injection Molded Polycarbonate Dual Lenses are computer engineered to match the natural curvature of the human eye. This allows light to pass undistorted through the lens to the eye, delivering a completely unaltered natural view. This, coupled with the use of an injection molded polycarbonate lens, delivers unmatched optical clarity and durability. Scott lenses undergo a permanent No-Fog treatment process to prevent condensation and fogging.